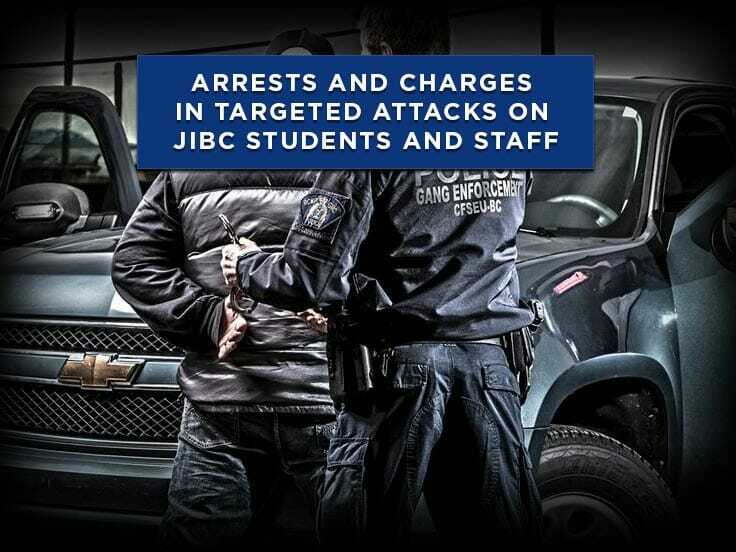 After a four year-long investigation, charges have been laid in the investigation into the targeting of staff and students of the Justice Institute of British Columbia Justice Institute of British Columbia(JIBC). This joint-forces investigation that spanned multiple jurisdictions has resulted in the arrests of two men, one of whom police allege to be the orchestrator of the attacks, and another who police allege to be someone contracted to carry out one of the arsons. The RCMP determined that the victims were linked as a result of a connection to the JIBC. They then collaborated with their policing partners, shared information, and coordinated resources. Previously, the police agencies in each jurisdiction where the attacks occurred had investigated, however no suspects were identified and the motive for the attacks was unknown at the time. 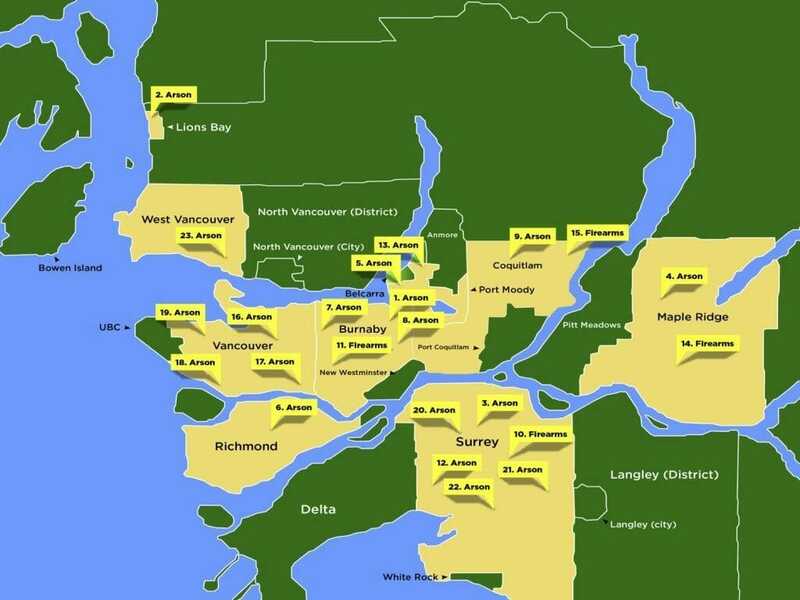 The investigation established that an ICBC employee had queried the fifteen victims’ license plates which provided their personal details. The investigation continued despite no new offences and then between December 31, 2014 and January 13, 2015, a number of the victims received suspicious letters in the mail. One of the letters contained a warning that attacks would resume in the New Year. Investigators reconnected with all the victims to ensure adequate safety plans were in place. Vincent Eric Gia-Hwa Cheung, a 40-year old Langley resident, was arrested on Friday, September 18th in Burnaby. Two counts of intentionally or recklessly causing damage by fire or explosion to property withina residence. Thurman Ronley Taffe, a 54-year old of Burnaby resident, was arrested on Friday, September 18th in Burnaby. 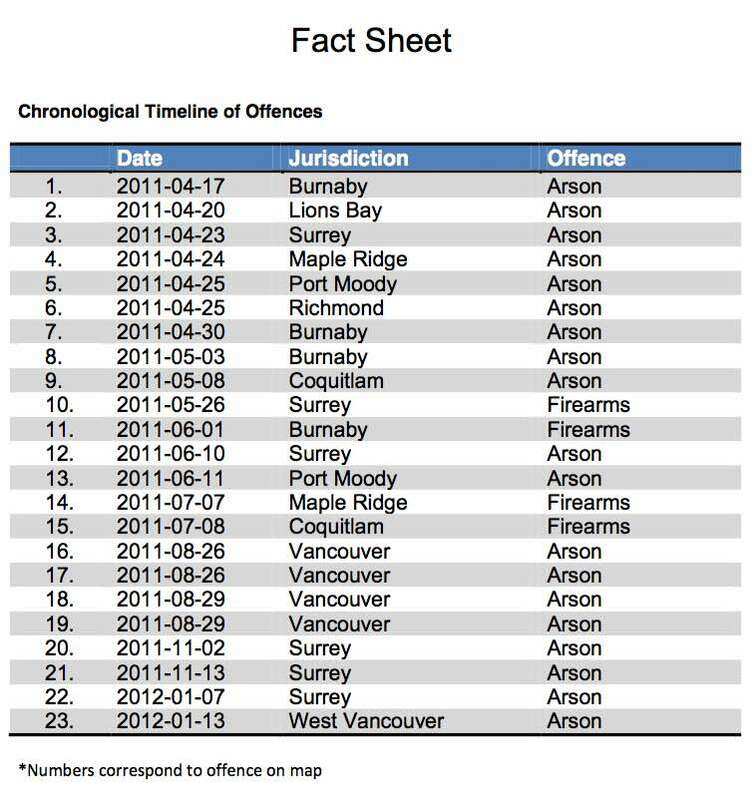 Taffe is charged with one count of intentionally or recklessly causing damage by fire or explosion to property (house). Both men have been remanded into custody and were set to appear in Vancouver Supreme Court at 10:00 a.m. on Monday, September 21st. The CFSEU-BC would like to thank all of the law enforcement agencies and officers who played a direct role or assisted in the investigation.